On September 20, less than eight months after coming to power, Syriza won another commanding victory. Notable, however, was the lack of enthusiasm with which its electoral triumph was greeted — at home or abroad. 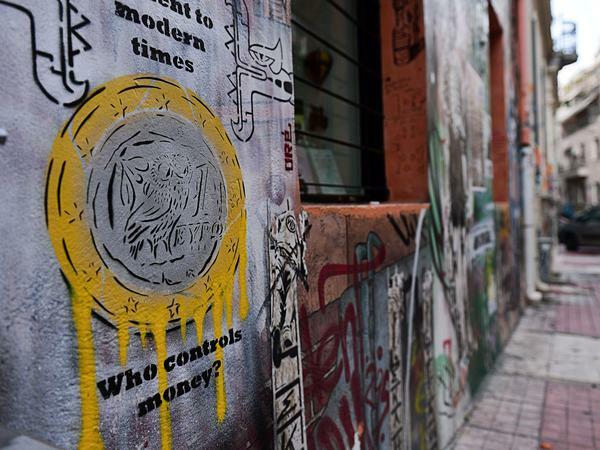 In Greece, the 45 percent abstention rate told much of the story. Popular Unity, a fusion of Syriza’s former left-wing and other radical forces, didn’t benefit from the climate. It earned 2.9 percent, just shy of the 3 percent threshold necessary for parliamentary representation. Besides for perhaps some relief that New Democracy was kept out of power, there was little for the Left to cheer. In the interview below — first conducted in French by Clémentine Athanasiadis and David Doucet two days before the vote and translated for Jacobin by David Broder — Popular Unity member Stathis Kouvelakis analyzes Syriza’s trajectory, Alexis Tsipras’s leadership, and what was at stake in the ballot. What would be your assessment of Syriza’s seven and a half months in government? Syriza ended up in failure, I would even say a disaster. It is the most serious failure of any Left government in decades. That is what will go down in history. Syriza did take a few so-called humanitarian measures like getting rid of the high-security wings of the prisons, but these were more gestures than anything else. The only positive point I take from all this is that the political illusions have now dissipated. Syriza’s strategy did more than years of far-left propaganda ever managed to do in persuading Greek society and European public opinion of the brutally undemocratic and pernicious character of the European Union. It provides a peerless practical demonstration of this. Do you think that this was a political betrayal on Alexis Tsipras’s part, accepting a third memorandum? Objectively, that is indeed the case — Tsipras has completely betrayed his promises. But the idea of betrayal very much reduces things to a subjective level. There we are entering into the realm of an individual leader’s psychology, which is not of great interest. He had no prior plan to do this. I believe that this is more a case of political bankruptcy than of the failings of a single individual. Anyone carrying forward this same approach and strategy would have ended up with the same result. Syriza’s illusion that it could break with austerity and neoliberalism on friendly terms, through negotiations, has collapsed. This government found itself completely disarmed, faced with the utterly brutal offensive the Europeans unleashed against it immediately after it was elected on January 25. Making concession after concession, Tsipras lost every battle up till the final capitulation on July 13, when he signed up to a third memorandum. That without taking account of the results of the July 5 referendum, when the Greek people refused the austerity plan en masse. Do you think that when Tsipras entered into this struggle he was aware that we would not manage to make the European Union give ground? I remember a face-to-face discussion that I had with Tsipras in 2012 in Paris, where I was serving as his translator. We had brought up the euro question, and I told him that the other European leaders would not leave it up to him to choose whether to leave the currency zone. Either he would be forced to quit the eurozone, or he would have to give in to their demands. I will always remember his response. He said to me, “Why would they do that? That is not in their interests.” I was perturbed by this. He had not understood that the interests of the EU leaders could be contradictory and antagonistic. For me he proved his genuine blindness — he was truly naïve. A lot of people who voted for Alexis Tsipras in January are now preparing to vote for him again in this set of parliamentary elections, since they reckon that there is no longer any alternative . . . Faced with this, the dominant sentiment in society is one of immense disillusionment. The Greeks are demoralized. They cannot believe or understand what has happened. And from this point of view, Tsipras has succeeded where George Papandreou (Pasok) and Antonis Samaras (New Democracy) failed — that is, in making people fully believe that there was no other alternative. But there was an alternative, the one that we proposed, namely to take our monetary sovereignty back in hand by leaving the euro. How would you explain the major sympathy that Alexis Tsipras today enjoys, remaining ahead in the surveys despite his political about-turn? This is relative. His popularity is the same as the New Democracy candidate Evangelos Meimarakis’s. And Meimarakis is an insignificant and colorless figure, appointed by default after Antonis Samaras’s resignation. It should be understood that Tsipras’s popularity has collapsed. The one thing saving him is the fact that the Greek political class is entirely discredited. Many Greeks think that Tsipras is a lesser evil, but they don’t believe in him anymore. Alexis Tsipras has also said that he will renegotiate the debt. What has taken place is so dispiriting that people do cling on to this hope. But Alexis Tsipras will end up with the same fate as Papandreou and Samaras, who became invisible figures. For the moment, Tsipras is clinging on to power. He is not a Lionel Jospin figure, admitting that he failed and handing in his resignation. He has made a fundamental break from the ethics of a man of the Left. The slightest honesty would compel him to recognize that he failed and to give up politics – Lionel Jospin resigned for a lot less than this. Today Syriza is nothing more than a mutant party, and it only has one product left to sell: Alexis Tsipras. Their PR is completely personalized. It vaunts the image of a guy with heart who truly tried, and suffered enormously for that: a man who was tortured for Wolfgang Schäuble and Angela Merkel in Brussels for seventeen hours. This discourse is a little obscene in a country where many left-wing activists really were tortured. Syriza is only playing with affects, and no longer has any political message. Do you think that Tsipras has become a politician like the rest? It’s utterly different now. Even physically you can see that he has changed. I have known him since 2008, and I don’t recognize him any longer. His body language has changed. He doesn’t at all have the same smile and freshness he had at the start. Today everything that he says sounds false. Why didn’t you manage to make yourselves heard within Syriza? After his election in January, Tsipras took decisions without consulting the party. I was on the central committee, and I saw its degradation at close hand. After January 25 we hardly met at all. Tsipras thought that it was possible to reach an honorable compromise. He sincerely believed this, and then he saw his gamble fail, given the Europeans’ inflexible attitude. We proposed another alternative within Syriza, but our proposals went against staying in the eurozone. What does Popular Unity represent today? Popular Unity is not just the regroupment of disappointed Syriza supporters and the Left Platform. The president of Popular Unity, former Energy Minister Panagiotis Lafazanis, has allowed other currents to take part as well — currents that may be small in size, but which represent genuine political realities. Indeed, Syriza itself began like this. It was an alliance of small organizations and of one party a little bigger than the others. Today Zoe Konstantopoulou, the president of the Greek Parliament, has joined us. And we also have Manolis Glezos, a symbolic figure. He is the most popular political figure in Greece. He is ninety-three years old, a historic “resistant.” It was he who tore the Nazi flag down from the Acropolis in May 1941. Does Popular Unity have contacts with Yanis Varoufakis? Yes, we have had contacts with Yanis Varoufakis, but for our part we considered that there were not enough points held in common in order for us to be able to go forward together. With Yanis Varoufakis it is difficult to say what we agree on and what we don’t. His statements are too contradictory — you don’t know what to expect with him. Will Popular Unity agree to vote in favor of certain Syriza bills if in parliament? Syriza is going to implement the memorandum. There is no chance of us accepting that. But if Syriza proposes social measures, for example in favor of gay marriage or loosening the legislation concerning immigrants, then we will of course support that. Could the neo-Nazi Golden Dawn party be the surprise factor in these elections? It is obvious that this party will strengthen its support. In the context of our political class’s betrayals and bankruptcy, part of the popular anger will head in their direction. Greece’s situation is an extreme one, so it calls for a form of radicalism. Syriza was able to embody a left-wing, progressive radicalism but it ended in failure. So right-wing radicalism will inevitably exploit this reversal. Can we expect big demonstrations in the coming months? This is the great unknown. People still haven’t felt the effects of the [latest] memorandum, since it still hasn’t been implemented in its entirety. It is truly brutal — and radical. Today in Greece there is the same atmosphere as in autumn 2010, after George Papandreou got the memorandum through that May. Greeks understood that something serious was coming, but the economic consequences had not yet fully shown themselves. So Pasok easily won the regional and municipal elections of autumn 2010 — before utterly collapsing. Do you think that the European Union is today at war against Greece? It is at war against the Greek people. It uses our political personnel, who have completely failed, in order to continue waging this persecution. Greece serves as a guinea pig to demonstrate what fate is prepared for all those peoples who mount the slightest resistance against neoliberalism. Republished from Les inRocks . Stathis Kouvelakis on Syriza’s record in office, the mood in Greece, and why Alexis Tsipras should’ve stepped down months ago.